In 1947, two American intelligence operatives, Miles Copeland and Archie Roosevelt, flew from Washington to the Levant together to take up posts in, respectively, Damascus and Beirut. Copeland described the pair at that time as "me a New Orleans jazz musician and Tennessee riverboat gambler, he a member in good standing of what passes for nobility in America". The two became friends and co-conspirators, who, together with Archie's cousin Kim Roosevelt, did more to mould the modern Middle East than the so-called policy-makers in Washington. 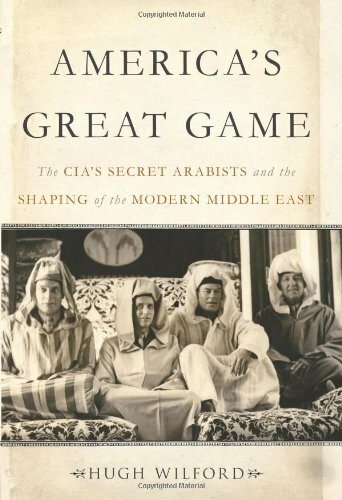 Hugh Wilford tells the story of the Central Intelligence Agency' s three musketeers in this absorbing account of romantics enchanted by Kiplingesque myths and the Lawrence of Arabia legend, who cynically harboured the self-contradictory ambition of democratizing the Arab world and Iran while arrogating all decisions to themselves. When Copeland arrived in Damascus in 1947, Syria had an elected parliament and prime minister under a democratic constitution similar to that of the Third Republic in France. It did not take Copeland long to strike up a friendship with the Syrian Army's chief of staff, the Kurdish Colonel Husni Zaim, and turn his thoughts to politics at a time when the civilian government was delaying a treaty to permit an American oil pipeline through its territory from Saudi Arabia and Jordan to Lebanon. Roosevelt had been cultivating what he called the "young effendis" and Copeland the "right kind of leaders" to drag the Arab world away from Britain and France and into the American century. Zaim seemed perfect. As Wilford writes, he told Copeland that there was "only one way to start the Syrian people along the road to progress and democracy", pausing to slash at his desk with a riding crop, "with the whip". Adam Shatz: Writers or Missionaries?